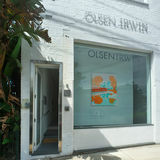 Limited Collection Editioned prints & multiples by leading Australian artists LIMITED Contemporary Editions is a Sydney based print studio presenting exceptional quality, archival limited edition reproduction prints from a collection of Australia’s most celebrated artists including John Olsen, Stephen Ormandy, Matthew Johnson, Alan Jones and Julian Meagher. We are also continuously working with new artists to present a dynamic selection of contemporary artworks. LIMITED Contemporary Editions works directly with artists to accurately colour match every fine art rendition, bringing the imagery of our most celebrated artists to the public in multiple form. Each artwork image is reproduced on the finest Hahnemühle archival etching paper using the highest quality, fade-resistant pigmented inks. Each print is hand signed and editioned by the artist to validate and authenticate the print. All works featured in this catalogue are copyright the artist, Michael Johnson. Published by Spitting Image. Michael Johnson In 1960, following the completion of his studies in Sydney at the Julian Ashton Art School and the National Art School, Michael Johnson departed for London, where he spent the following seven years. During this time he painted full time, working periodically as a studio assistant to the British sculptors Brian Wall and Anthony Caro. In 1967, he returned to Sydney, where he held his first two solo exhibitions, thus marking the beginning of a long and outstanding career. Michael Johnson’s work is marked by a metaphysical orchestration of colour and a muscularity of presence. His paintings (and occasional works in three dimensions) are romantic in essence; in their application, they are raw and intuitive, deeply connected to his intense and complex relationships with nature, natural process and mood. This is most tangibly so in his works of the past decade, where ruptured, sinewed application of base, primary colour performs an opera of gestures and painterly manoeuvres. Michael Johnson has exhibited widely both nationally and internationally, and was included in the seminal exhibitions, ‘The Field’, National Gallery of Victoria, Melbourne, and Art Gallery of New South Wales, Sydney (1968); the UNESCO Biennale, France (1968); the São Paulo Bienal, Brazil (1969); and The Australian Biennale, Art Gallery of New South Wales, Sydney (1988). Among Johnson’s awards and commissions are works for the Sydney Conference Centre and the State Bank of New South Wales, Sydney. He is represented in all major Australian state and regional collections, New Zealand’s Chartwell Collection, and in numerous significant corporate and private collections in Australia and overseas. 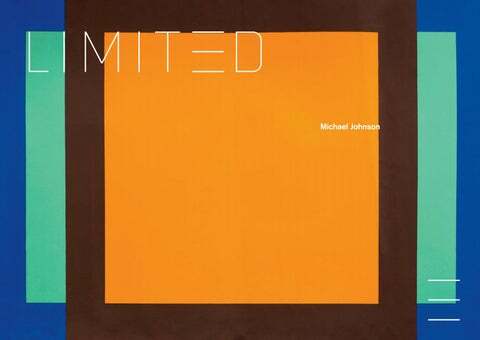 Beagle Press published a substantial monograph on Michael Johnson’s work in 2004.